Here's the 950....... Really need a bigger case. The psu is huge. Nah it's not that big. Wire management, KMAN Style. Unbeatable. And yeh, thats a sock. ^Dude...... you need to cut back on the herbel medications. Lol, notice my SSD loosely taped to the bottom of my case. 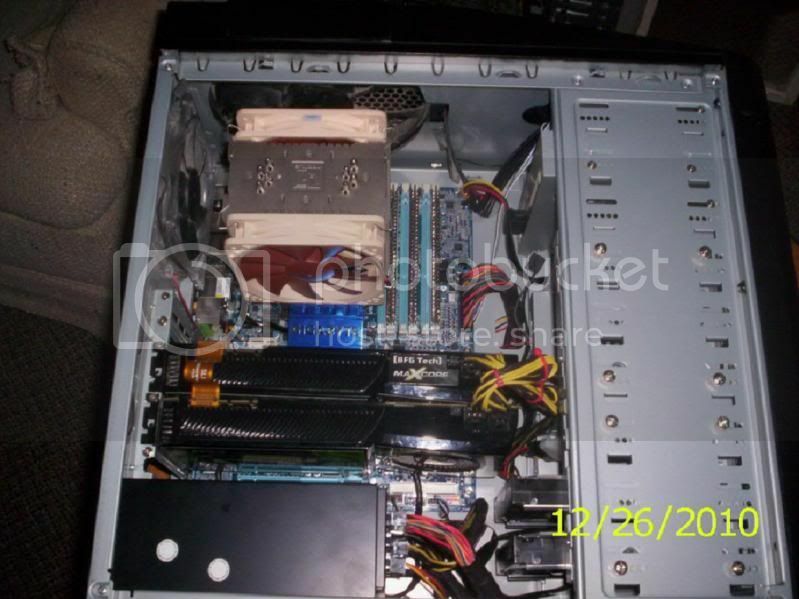 That's pretty nice paton, considering the case and those two GPUs. Do you not see the pic of my PC + Sock ? ^I reversed the drives and only ran the cabling out the front of the bays... But it did a sweet job cleaning up things. I'm thinking of getting a Corsair, a 700D or 800D (theyve been on sale) or a 600T. Wow K... My original comment still stands But did you just toss cables in there as A storage container? 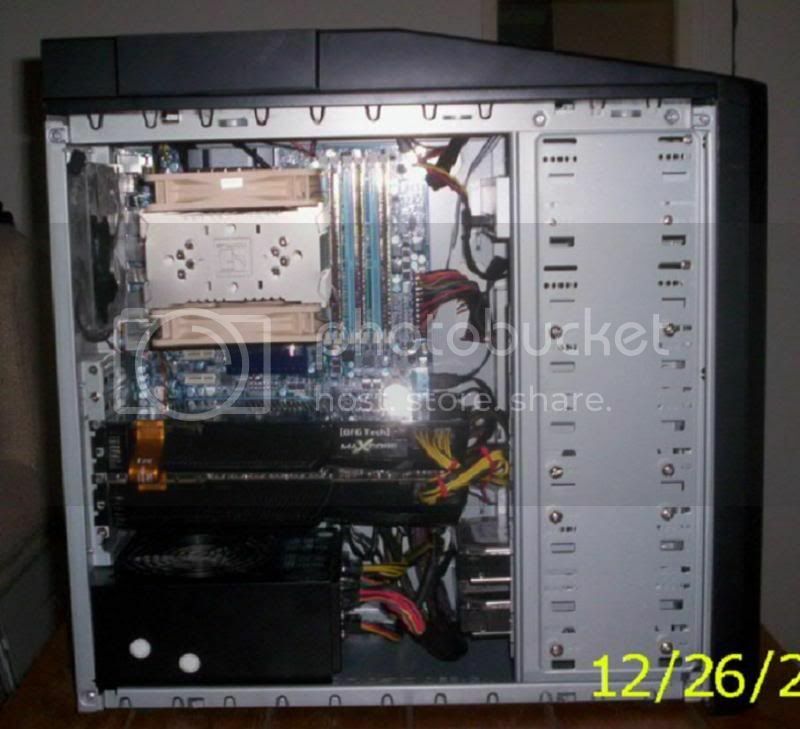 Is that a PC or a rats nest. I can see why you don't bother overclocking. I'm thinking you should start with a good set of wire cutters. What are all those gray wires? Those would be the 1st to go. My temps are actually pretty good now lol. Grey wires are front USB ports, HD Audio and some other thing for the fan controller i think. 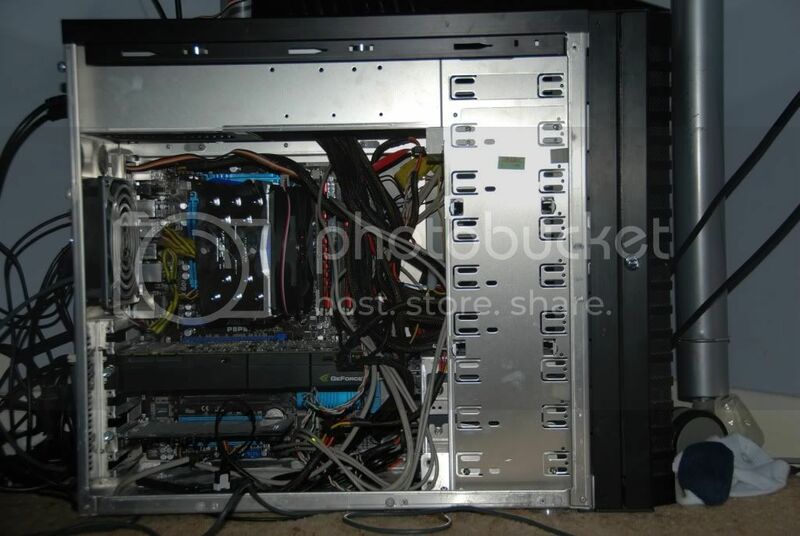 To be honest my case is pretty small, theres not a lot of room for excess cabling to be hid neatly. It could go behind the motherboard tray but i doubt it would fit, and the holes to shove cables through arn't all that big. I don't really enjoy building my PC, i find it fairly stressful shoving my hand down places it doesn't fit just to plug the pathetic little PW Switch cable in, which then falls out with a small puff of air. Let alone spending an age thinking all the cabling through so it is tidy.. no thanks, at least not till i get a bigger case and am in the mood to do it.